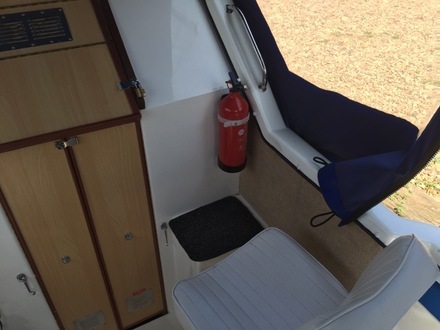 The shadow 21 is the smallest boat in the range, but still manages a 2+2 berth layout. A separate toilet and shower compartment provides privacy for the family or guests. Despite its size you still have full standing headroom through out. 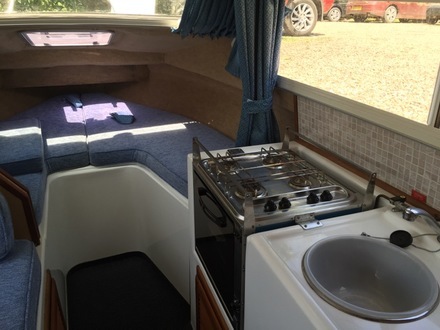 Forward v-seating converts to a double berth with an infill cushion. The dining table converts to make the second double. 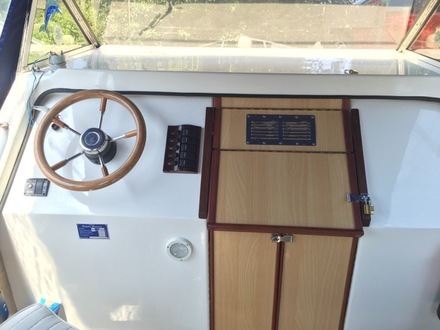 Lots of options make this the perfect starter boat for those wanting to test the water. Prices from £29,950 + option extras at addition costs. Price includes vat. Customers can choose their own colour combinations of soft furnishings. Lots of engine options. Eco friendly electric drive version. All shadows are bespoke build boats so customers can make ‘tweaks’ and changes during construction.